If your child is set to take the SAT this year, it is better to level up the review as early as today as the date of the exam is fast approaching. Take note as well that there is only one remaining schedule for this year. So, if you want your child to increase his/her chances of passing the exam, let him take a review and an in home tutoring for SAT prep Valencia, CA is the way to go. Tailored tutoring approach. In-home tutors begin their SAT review for your child with a thorough assessment i.e. diagnostic analysis in order to identify your student’s strength and weaknesses. Then, they will build from there by creating customized lesson plans, which will be followed throughout the course of the review. Comprehensive SAT prep program. A comprehensive program allows your child to learn not only the academic matters or subjects but also the skill/strategy on how to make the most of his/her time during the actual examination. Also, our tutors are quite familiar about the subjects that are going to be in the exam, so you should not be worried about what subject to review. Experienced tutors. 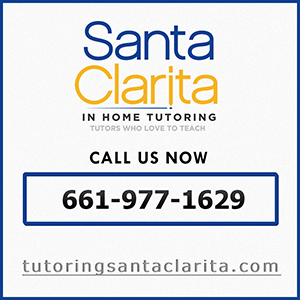 What set Santa Clarita In-home Tutoring apart from other service providers? The company is home to tutors whose extensive knowledge in tutoring service was refined by long years of experience in this industry. They have helped hundreds of students get into the college of their choice. Flexible schedules. While SAT prep has to be intensive for your child, Santa Clarita In-home Tutoring can plot a list of schedules in such a way that does not compromise his/her other important activities. The study is done in private and can be accomplished inside the comfort of your home, away from distractions. Contact us to today to schedule a review for SAT prep, Valencia, CA, at (661) 977-1629. At the end of each winter season, students take a break from schools and many of them will recede into the comfort of their home – out from the biting cold of the freezing temperature. And, for wise parents who do not want to waste their children’s vacant time, they hire in-home winter break tutors, Santa Clarita. Others might find it ironic to get students into a tutoring program when they are supposed to be on a break-from-school-activities time. However, here’s the truth that one must realize – winter break tutoring programs can be designed in a kind of setup that is totally different from that of school’s. Shall we say, a program can be customized in a way that is more fun and more encouraging and enticing. If you are having a second thought on whether or not to hire from the available winter break tutors, Santa Clarita, here are some compelling reasons that might convince you to do so. It’s an opportunity to brush up with subjects previously tackled at school. There are particular areas in your student’s subjects that need revisiting and this can be done ideally during winter break when there’s an ample time to do it. The review can be more effective when your student is guided by a tutor who is an expert in navigating the academic subject areas that your student needs some improvement. The identification of these areas can be done through prior assessment. Opens door to learning new skills and knowledge. Winter break tutoring also allows your student to learn new knowledge across different areas of learning – be it a new strategy in solving mathematical problems or crafting better writing composition. An experienced tutor can identify the best approaches for your student to learn more effectively. Helps develop interpersonal relations. As your student takes a winter tutoring program, you are giving him not just an opportunity to learn more about their subjects, but also, you are opening a portal for him to improve in interpersonal relation skills, which can make him more confident to face different people from different walks of life. Provides an opportunity for parents to be part of the assessment. Last but not the least, winter break tutoring also provides you, the parent, an opportunity to be part of the learning process. The tutoring program can be custom-designed in such a way that gives you a chance to participate in the learning process, to provide some inputs, and give some help in giving final assessment. Looking for winter break tutors, Santa Clarita? 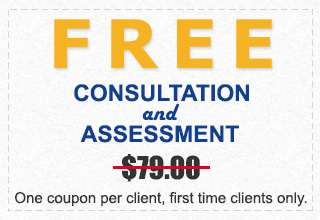 Contact us today at (661) 977-1629.